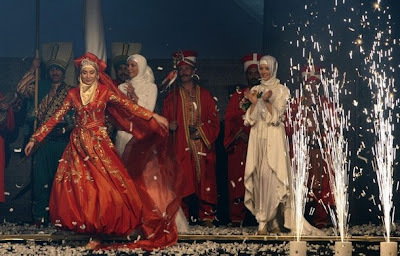 Tekbir, one of Turkey's leading Tesettür fashion houses showcased its Spring/Summer 2008 collection in a fashion show in Istanbul on the 20th of April 2008. I remember first walking into a Tekbir store around 6 years ago, and I wasn't too impressed. The racks were full of bland beige and grey and those awful jackets with padded shoulders. 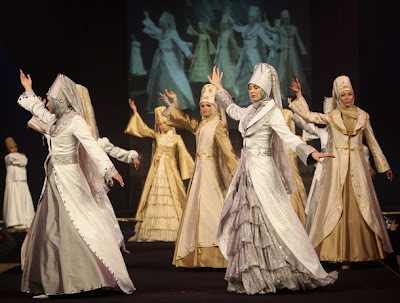 So looking at the latest collection, I must say I think Tekbir has come a long way. Compare these photos with the ones from Setrms 2008 collection - which do you prefer? I think I'm leaning towards Setrms this year. 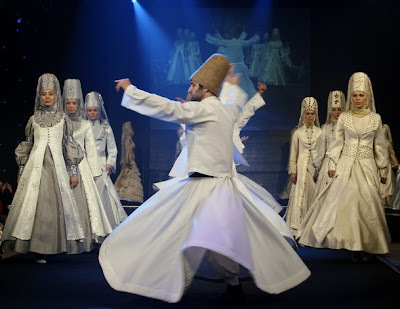 Um, I find the whirling dervish styles scary (ugly too) but I like the Tekbir better in the last few end pics you pictured. Setrms all the way! 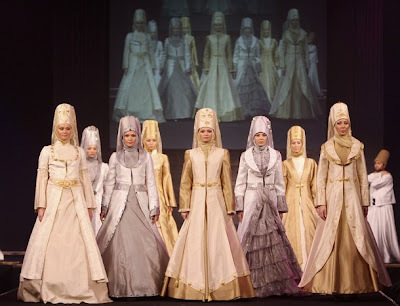 I find those cylinder shaped hijab hats horrifying! But the last few pics were nice. 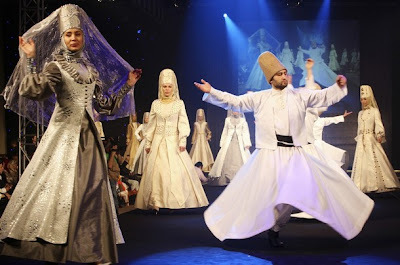 TEKBIR has a long tradition of providing good service and quality/fashionable outfits as you may have gathered already. Please visit our eBay store (http://stores.ebay.co.uk/TEKBIR-Garments-UK) for an insight of Tekbir outfits where we offer all items at discounted prices with some items being sold for half the price compared to TEKBIR's shops in Turkey. If you have any questions please do not hesitate to contact us on tekbirgarmentsukltd@hotmail.com.